It's that time of the month again. .No has released a new radio show and Wo. surfs to the pages of Concertzender to click on that button that releases the content of .No's show. What is in store for him (and you of course, dear reader) this month? Follow Wo. into the depths of his mind to find out what his feelings and experiences with the February 2018 Kairos are. The familiar piano notes with the dark voice announcing the show disappear in a sound like a stampeding mayday signal. A high pitched whine is repeated fast. Somewhere behind it a droning note can be heard, before a piano emerges, playing slow notes underneath the blips. Desperately trying to get above it, not succeeding. Like a ship struggling not to sink and failing. It is Rutger Zuydervelt with his 'Sol Sketches' on a 'Machinefabriek'. The fast blips disappear, creating a more solemn sound. The lone piano returns to be replaced by an acoustic guitar, doing a Paul Simon from the 60s, think the guitar in 'Homeward Bound. Anna & Peter Clijssen return to Kairos. 'Bij De Rook Van Het Vuur' has nothing of the subtleness nor pop feeling of 'Homeward Bound'. It is the strongheadedness of the last standing traditional farmer that is reflected here. His worn face turned into the cold wind, rainswept, trying to smoke his rolled cigarette despite the elements tearing at him, sweeping over the clay fields around him. His yellow clogs sticking in the thick mud. Dutch folk is what 'Bij De Rook Van Het Vuur' is. A brass sound replaces the sturdily played acoustic guitar. Although I have not a clue what I am hearing. An organ? or brass? And one or two accordions, I think. Stars of the Lid return also, with a composition that I have a hard time making heads or tails from. "What's the use of getting sober when you're gonna get drunk again", Joe Jackson sang on his cover album 'Jumping Jive', but 'what is the use of making music when there's not a song within earshot'?, is what I'm asking myself here. This is me and having just heard a beautiful album called 'Shrimp' by a German band called A Tale of Golden Keys, it may be I'm having a hard time adjusting to Kairos. But that is how things stand right now. A lone piano enters and changes the mood. A soft, nearly whispered "aaahhh" enters before someone starts singing. A song, yes!, it may be minimal, but a song it is. Orcas is the band, 'Until Then' the song. Some sort of soundscape hovers beneath the piano and voice, becoming ever stronger and conquering all by the second. 'Until Then' has an intrinsic inner beauty, despite the sound that becomes bloody irritating. It all ends with just the piano, until .No lets in another one. Sumie is an artist I had never heard music from, but reading in a review who she worked with on her new album, 'Lost In Light', it had to be something for Kairos. And it is, as you can hear. 'Night Rain' is a song that contains of a sole piano and Sumie's voice(s). More jazz than pop. A trumpet the only embellishment. Together they create a magical atmosphere. Making me interested to hear more of 'Lost In Light'. Minco Eggersman by now can be called a veteran of Kairos. Again we return to Georgia, where he worked and got inspired. 'Mount Ararat', something to do with Noah's Ark if I remember correctly, is the topic of choice. Rain and graces are stumbled upon. Soft and slow the song progresses, with ever more strings entering the song of which one is quite erratic, upsetting the tranquility. 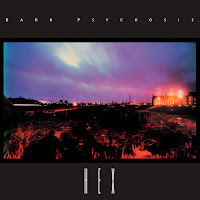 The song morphs into Bark Psychosis' 'Pendulum'. A piece of fairly minimal music. There are three instruments involved, but they don't progress. The keyboard in the middle of the two guitars at the sides takes over to produce ... no, wait, it is a guitar. It is the way the sound is sustained after the notes are played that confuses me. Nothing much happens, yet the notes and atmosphere are just right. Very slowly the mood changes as the two guitars are dropped for a while and keyboards do take over. Mysterious and unanswering this song is. There is comfort yet no compassion. A strange mix of feelings wash over me listening to 'Pendulum'. The sound of birds bring me back to my room. A sound collage by Broeder Dieleman comes by. 'Ruischendegat', the voices speak Dutch, but not all is comprehensible to me. The dialect is not one I hear every day, not even every year. The mood fits well with Bark Psychosis oddly enough. An electric piano enters the atmospheric sounds. I have moved into 'B1C' by Dirk Serries and Jon Attwood. It also could have been part of what I have heard before this. The mix is again impeccable. Yet, once again, no song in earshot. What to make of this collage of sounds with at most an attempt at a song? A classical piano moves in over the soundscape. It fits wonderwell. It shouldn't amaze me after years of reviewing Kairos, yet somehow it still does. Things that do not belong together are fitted here like they ought to. As if the composers have all made giganticly misjudged calls when creating their music, by having not taken in the obvious .No presents to us. 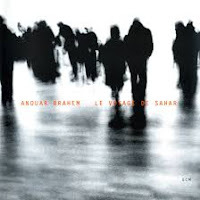 'Été Andalous' by Anouar Brahem slowly evolves. The guitar is joined by a piano and a harmonica and becomes a lament. The composition is so full of longing. As if Brahem has not been to Andalusia for years and knows he may never again. All that longing went into his composition. Although the piano and guitar do a small battle and try to poke up the fire of desire, Brahem knows the outcome and plays that way. Jorg Verhoeven also returns. Wasn't this an album that really tried my resolve to listen to his work until the very end on this program? I would say yes. Let's see what I make of Track 8 of 'Meditation Bass Clarinet'. A bass clarinet enters the mix and it sounds like a bass clarinet. Nothing strange so far. The composition lasts for nearly nine minutes, so anything can happen. A bass clarinet is a clarinet in the shape of a saxophone and produces darker tones. Played as slowly as Verhoeven plays his notes here, they sound close to a ship's foghorn. In the recording it is possible to hear Verhoeven breath as well as the sounds the instrument itself makes while being played to change notes. (If it isn't the instrument, a pair of lawn scissors is used as a percussive instrument.). Yes, on Track 8 it is possible to meditate, I think. Although things are not at ease. Far from it. Certainly not on the tracks previously played on Kairos. What has not changed is that this is not my music. What comes up next sounds instantly familiar, although I haven't heard it for years. I get a picture in my mind of Harry Dean Stanton walking through a desert. And yes, it is Ry Cooder alright. With some birds added by .No for good measure. "In the desert you can't remember your name", to quote America, but can you hunt shadows? That is the title of Will Samson's contribution to this Kairos. The song has nothing to do with Ry Cooder, yet his acoustic slide guitar could easily fit here. And this fragment changes to 'Womb', from The World of Dust's album 'Bhava'. Before I've blinked with my eyes, a choir enters the mix. 'Oh Magnum Mysterium', a composition by Morten Lauridsen. The kind of church music that silences me. The singing is beautiful. It gives rest to mind and soul straightaway, no doubt. The voices weave in and out in a superb way, at times in surprising moments in the composition, like the turns in the melody surprise me also. The Elora Festival Singers they are called. Another choir comes in, called Raison d'être, I thought. Or is the choir mixed into some church bell music by Peter Anderson? Before I have time to reflect, the moment has passed. 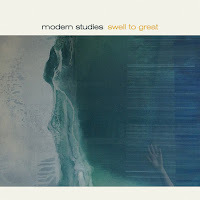 Kairos ends with a song from the album 'Swell To Great' by Modern Studies. A folk album that has an old harmonium at the basis of it. 'Swimming' is one of the solemn songs on it. The harmonium the sole basis of the music, unlike several other songs on the album. 'Swell To Great' is an album I have to be in the mood for, but bought on vinyl last year, to really enjoy at exactly those moments, like I am enjoying 'Swimming' right now. A befitting ending to the musical adventure called Kairos I am just about through for this month. 00:00 Rutger Zuydervelt. Sol sketch 1. Machinefabriek. Album ‘Sol Sketches’. Self-released. 03:26 Peter Clijssen. Bij de rook van het vuur. Anna & Peter Clijssen. Album ‘Vagantenkost’. Self-released. 07:16 Adam Wiltzie & Brian McBride. The evil that never arrived. 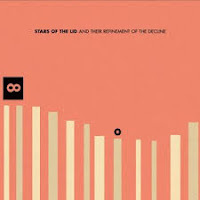 Stars of the Lid. Album ‘And Their Refinement of the Decline’. Kranky Krank 100. 09:30 Benoît Pioulard / Rafael Anton Irisarri. Until Then. Orcas. Album ‘Orcas’. Morr Music morr 111-cd. 13:37 Sumie. Night rain. Album ‘Lost in Light’. Bella Union. 17:03 Minco Eggersman. Mount Ararat. Album ‘Kavkasia’. 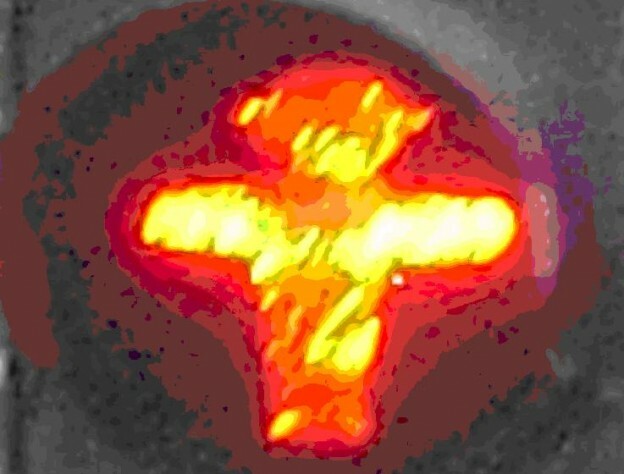 Volkoren 73. 19:25 Bark Psychosis . Pendulum. 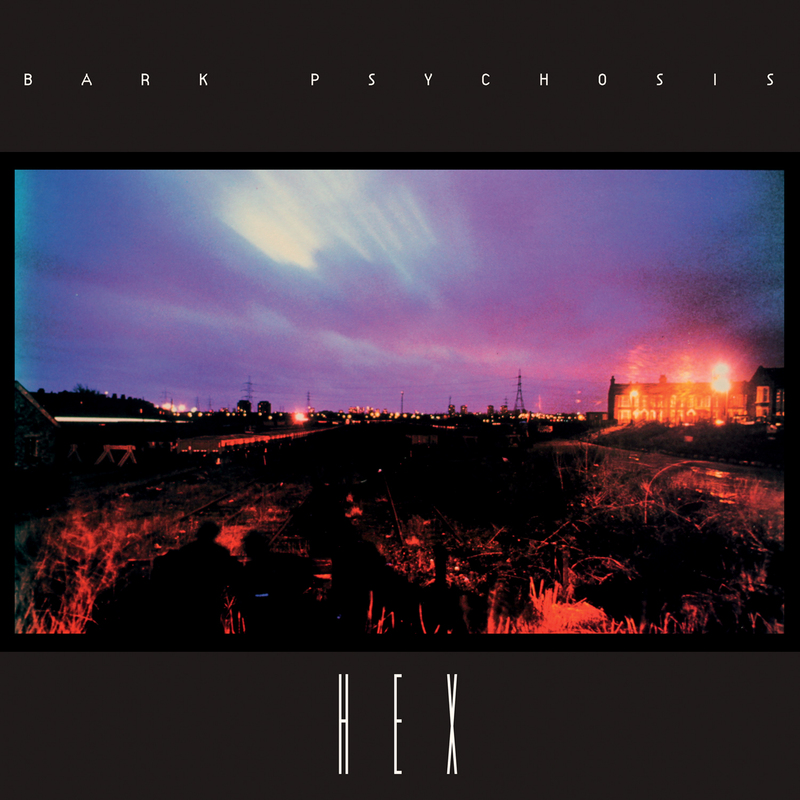 Album ‘HEX’. Circa CIRCD 29. 25:51 Broeder Dieleman. Ruischendegat. Album: ‘Uut de Bron’. Snowstar Records. 27:59 Dirk Serries / Jon Attwood. B1C. Album ‘The sleep of reason’. Tonefloat TF 128. 30:46 Anouar Brahem. Été Andalous. Album: Le voyage de Sahar. ECM 1915 9874651. 37:22 Jorg Verhoeven. Track 8 from Album ‘Meditation Bass Clarinet’. Self-released. 46:15 Ry Cooder. Nothing out there. Album ‘Paris Texas – Original Motion Picture Soundtrack’. Warner Bros. 925 270-2. 47:13 Will Samson. Hunting Shadows. Album ‘Balance’. Karaoke Kalk 69CD. 49:19 Stefan Breuer. Womb. Bhava. Album ‘The World of Dust’. Snowstar Records/Tiny Room Records. 50:20 Morten Lauridsen. O magnum Mysterium. Elora Festival Singers o.l.v. Noel Edison. 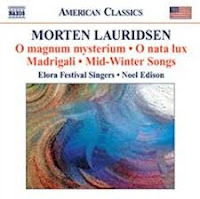 Album ‘Morten Lauridsen’. 56:02 Modern studies. Swimming. Album ‘Swell to Great’. Fire Records 555073.